Not all products can be shipped to all countries, some products have shipping restrictions. You can find these restrictions in the products additional information. Be aware that it is the customers responsibility to order only those products that are legal in their country. 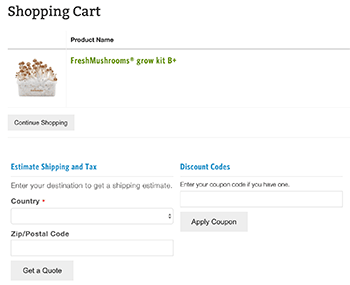 Magic-Mushrooms-Shop.com is not aware of the legal status of our products are in other countries. For more information, we would like to direct you to the website of your government. Make sure that the shipping address you provide is a residential or a company address. Do not use a PO-box, Post-office or packstations as a shipping address. These addresses cannot be delivered to. Please double check your shipping address when you make an order! 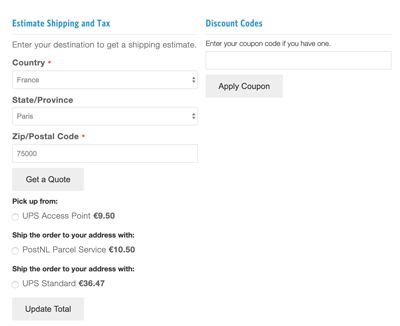 For delivery outside the Netherlands it is recommended to include your phone number in the checkout form under your address details so the delivery company can contact you if needed. When the order is shipped the address can not be changed! When you make an error in the shipping address, contact us as soon as you can to change it. After the order has been shipped, we cannot make changes. Your order will be returned to us and we can send it again after you pay the new costs for shipping it again. When we receive your payment, you will receive a status update by email and your order will be processed. After the order is handed to the shipping company you will receive another email with a tracking code. There is no indication on the outside of the parcel what the contents is. The packages do not contain invoices, packaging lists or instructions. These are only available in digital format. A copy can be requested at any time. Note: When shipping outside of the EU, we are obliged to put an invoice on the outside of the parcel that has been generated by UPS. Growkits and spores are mentioned as Student Mycology Products or Student Microscopy Set and the prices are ex VAT / TAX. Customers outside the EU might be charged additional import rights and TAX upon delivery. Which shipping methods can I choose? We offer you the lowest price possible to ensure you, you get your parcel delivered on time and undamaged. Important; if you are going to collect your parcel, make sure that you bring an official form of identification or government-issued ID that matches the name on the parcel. If you do not bring it on pickup, you will not get your parcel. Fast shipping. Parcels arrive quickly and are offered upon to three times in case the recipient is not at home. Receive your package within one business day. Available for all non European destinations. Your package will be shipped with PostNL or a company contracted by PostNL, for example DPD, GLS, or MRW. 3. Now you see the available shipping methods and the cost. Look at the picture below to see how many business days it will be for your parcel to arrive when you choose for the UPS Standard service. Below you will find the indication PostNL provides on the transit days. Note that this is only an indication, Actual shipment might take longer or could ga faster. It might be possible that we do not ship to the countries below, or the shipping method is not available for your country.